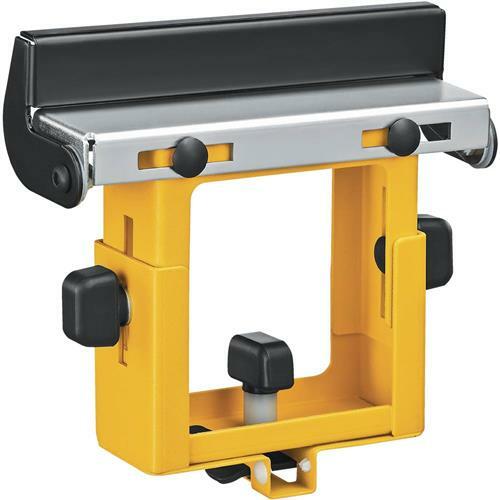 The DeWALT DW7232 Miter Saw Stand Material Support and Stop supports work piece when cutting. Flip-up stop for fast conversion to a cut stop. Adjustable height from 3-7/8" to 6" to match any miter saw table height. Compatible with DW723, DWX723 and DWX724 Miter Saw Stands.